The Pretus Law Group counsels health systems, academic medical centers, hospitals, physicians, and healthcare entrepreneurs in planning, structuring, and executing on a variety of strategic affiliations, including corporate formations, change of ownership, mergers, acquisitions, divestitures, and joint ventures. We advise and counsel clients through all phases of strategic transactions, including: assessing opportunities, due diligence, negotiation and contract preparation, closing, and integration. Counseling executives and boards and proposing changes to governance documents to address relationships with new affiliated entities, the roll-out of stock option plans, corporate policy changes, etc. Our firm has significant experience in advising on data privacy and security issues in a wide range of industries. We work closely with our clients to minimize exposure and reduce risk through strategic advising, compliance counseling, and policy development. We help our clients develop customer and employee policies, as well as procedures and training that fit their specific business in order to make their data security plan fully operational. Should a data breach occur, we help clients with investigations that identify the cause of the breach, crafting an appropriate, coordinated response, and handle matters with regulatory agencies as needed. We have substantial experience serving as privacy and information security counsel to all manner of healthcare entities including hospitals, health systems, clinics, and pharmacies. We also serve companies in a range of industries including information technology service providers, call centers manufacturing, and retail. We counsel clients on compliance issues raised by the Health Insurance Portability and Accountability Act (HIPAA), Health Information Technology for Economic and Clinical Health Act (HITECH), Children’s Online Privacy Protection Act (COPPA), Telephone Consumer Protection Act (TCPA), CAN-SPAM Act, and Junk Fax Prevention Act, the General Online Data Protection Regulation (GDPR), as well as other federal, state and international privacy laws. Our firm works closely with our clients on diverse matters such as the investigation of complaints, assessment of physician relationships for compliance with Stark and Antikickback laws, evaluation of clinic development plans for compliance with CMS Conditions of Participation, and compliance with corporate integrity agreements. Conducted audits and due diligence reviews for a wide range of clients related to fraud and abuse, HIPAA, compliance with provider-based clinic requirements, and 340B Drug Pricing Program compliance. Provided compliance advice to physicians, executives, and business development liaisons on fraud and abuse, anti-kickback statute, and Stark law compliance. Assisted hospital in developing a compliant process for identifying and tracking device warranty credits to ensure that qualifying credits were appropriately refunded to Medicare. Conducted audit of a major health system’s electronic medical records donation program for compliance with Stark law, and developed remediation plan to implement best practices. Reimbursement, Medicare conditions of participation, Provider-Based Status, 340(b) Drug Program, balance billing, Related Party Issues, and other matters. Counseled a large regional health system on the acquisition of an electronic medical records system. Represented health system academic medical center in 3-party negotiation to establish an international accredited medical school. 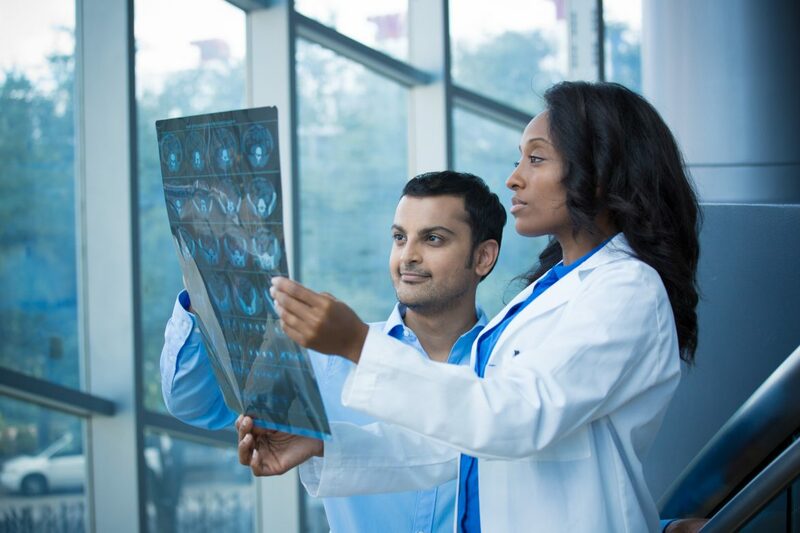 The attorneys at the Pretus Law Group have experience advising institutions, investigators, and academic medical centers engaged in every major stage of the clinical research process. Our clients have included Principal Investigators (PIs), Institutional Review Boards (IRBs), and academic medical centers. For more than ten years, the attorneys at the Pretus Law Group have worked with all types of businesses on strategic technology initiatives and transactions, as well as technology acquisition and commercialization. Our clients include academic medical centers, integrated health systems, physician, and entrepreneurs. We help our clients develop and execute IT-based strategies to integrate hospitals and health systems with community providers. These strategies include the extension and integration of clinical, financial, and other software systems through joint ventures and strategic affiliation agreements. As a result, our clients have achieved a meaningful return on the significant investments made in these systems and services, while advancing toward their growth and affiliation goals. Our services include advising on the pricing and business models, governance structures, contracting strategies, and document preparation. We also advise healthcare vendors seeking to commercialize new software and professional solutions. Our work includes counseling on deployment structures, pricing models, contracting strategies, and development of customer-facing contracts. We also represent clients in negotiations with all major technology vendors and service providers of multi-modal clinical and diagnostic technology.